Silver Dollar Values: Check Here for Key Dates with Bullish Futures. For now, we list just four bullish silver dollars worthy of a top recommendation, but there are more key dates with promise. You can bet these key dates are great acquisitions to get started with! Eventually, rare silver dollars from the early United States, as well as a few elusive examples from the Seated Liberty Dollar series, will be spotlighted here as well. If you’ve arrived at this page with the expectation of checking up on the current retail price of silver dollars other than these recommendations, please go to the Current Numismatic Value section. Also, we have in depth historic price trends of all Morgan Silver Dollars and Peace Dollars, common and not so common dates. Yet more information can be found in the US Coin Types section. Morgan silver dollars produced at the Carson City Mint have long been associated with the Old West tradition. Serious collectors and students of history revel in delight with the thought of owning coins of silver mined from Nevada's famous Comstock Lode. The Morgan silver dollar originated in 1878 following the passage of the Bland-Allison Act. The new dollar was named after its designer, George T. Morgan. Political pressure by powerful silver mining companies, in a gambit to stabilize the price of their commodity at artificially high levels, created the impetus driving the legislative action. Near the forefront of the Carson City parade is the first Morgan minted there, the 1878-CC. Of the 2.2 million produced, only a tiny fraction survive to this day, and most of them languished in US Treasury vaults for nearly a century before collectors finally recognized their desirability. The years 2009-13 were not kind to the 1878-CC dollar, proving you must be willing to hold for the long term. From 2013 to 2019, we saw a stabilization in values across most grades. Collectors have every reason to expect to see new record highs again someday for this key date Morgan dollar. The year 1878 was a time of rapid ongoing change in America. Increasingly, people moved from farm country to ever-growing cities, transforming the nation from a rural, agricultural society to an urban, industrialized economy. Furthermore, immigrants arrived on US shores by the millions. Technological advancements, mass production factories, and jobs helped fuel the rapid expansion of manufacturing centers. Railroads and improved communications connected once distant locations into one giant enterprising network. 1878 was the dawn of the Gilded Age, named so because of the many large industrial fortunes ruthlessly amassed during this era and the lifestyles supported by this ill-begotten prosperity. Department store owner John Wanamaker of Philadelphia got a bright idea on how to leave his competition in the dark. In 1878, he installed arc lights on his retail floor, extending business hours to late in the evening. Also in 1878, the first telephone switchboard began operating in New Haven, CT, originally signing up 21 subscribers. On the political front, the major event of 1878 was the passage of the Bland-Allison Act, a law that required the government to purchase vast quantities of silver, most of it unneeded. Internationally, Greece declared war on Turkey, while Emperor William I of Germany survived an assassination attempt. Value trends for The 1891-CC closely resemble those of its oldest sibling, the 1878-CC, and for similar reasons. Demonstrable gains over the long term, even for examples in heavily worn condition, attest to the popularity of the 1891-CC. Value increases over the last decade had been especially dramatic, so common sense told us to expect some cooling off we've seen in the last few years. However, if held for the long term, ownership of the 1891-CC poses virtually no downside risk. In 1891, the US economy was growing at a rapid pace. Enterprising (and sometimes unethical) business leaders were expanding industries and creating new jobs and wealth. Technological advancements in mining, petroleum, steel, railroads, and communications were reshaping American life. Discontented farmers in Midwestern states formed the Populist Party in 1891, to counter what they perceived as unfavorable treatment from the Republicans and Democrats. A chief demand of the Populists was the restoration of the silver standard and bimetallism, a move they claimed would help them repay their debts. By 1891, the era of the open range and long cattle drives had come to an end, replaced by ranches and barbed wire fences. The romantic vision of the "cowboy" was gone forever. Also in 1891, "The Adventures of Sherlock Holmes", written by Arthur Conan Doyle, was first published. In Japan, an earthquake killed 10,000 people. 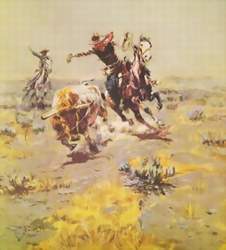 "Cowboy Roping a Steer", by Charles M. Russell, captures the essence of the cowboy image. By the 1890s, much of American rural life was being replaced by growing cities and a new industrial age. Morgan silver dollar collecting is one of the most popular segments of the coin hobby. Of all the Morgan dollars, the 1893-S has always been recognized as the key "stopper". With a production of only 100,000 business strikes, the 1893-S has the lowest mintage of the entire series. Consequently, silver dollar values for the 1893-S have risen consistently over time, and will continue to do so, especially if Morgans retain their lofty status within the collector community (a likely scenario). We've seen a significant cooling off in recent years, which was inevitable considering the rapid rise preceding it. Collectors should view the recent downturn as an opportunity to buy at bargain prices. The data indicates demand is strong for the well-circulated grades, another indicator of steady collector interest. Be careful to purchase only certified 1893-S specimens. PCGS, NGC, ICG, and ANACS are held in the highest regard by collectors. Sadly, many alterations and fakes have been infiltrating the market for years. The year 1893 brought a severe economic downturn to the United States. Many blamed the crises on the Sherman Silver Purchase Act of 1890. That law mandated the federal government to purchase very large amounts of silver. The metal became so overproduced that by early 1893, the silver content of a silver dollar was worth only 60 cents. Under the policy of bimetallism, gold and silver both secured the backing for US currency. As the value of silver continued to plummet, jittery silver owners rushed to exchange their silver for gold coins. Federal gold reserves shrank to under $100 million by March. The drastic reduction in gold reserves touched off widespread panic. The public feared that if Treasury gold reserves fell too low, the US might not be capable of backing up paper dollars with gold, nor pay its bills. Amid this nervous climate, the American economy teetered on the edge of disaster. Suddenly, on May 5, 1893, stock values on the NYSE plunged dramatically. Within a few days, businesses were ruined, factories closed their doors, banks failed, and millions lost their jobs. By the end of 1893, the US was mired in the depths of one of the worst depressions in its history. Other 1893 events: Henry Ford built his first car, and the longest recorded boxing match occurred April 6-7, when Jack Burk fought Andy Bowen over 110 rounds, lasting 7 hours and 4 minutes. 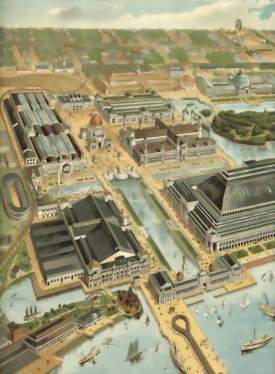 Also the World's Columbian Exposition was held in Chicago. 28 million people, about one-third of the US population, visited the World's Columbian Exposition in 1893, celebrating the 400th anniversary of Columbus' discovery of America. The fair's 65,000 exhibits featured the latest technology, new architecture styles, art and entertainment. Making their debut at the 1893 exhibition were Cracker Jacks, Pabst Beer, and Juicy Fruit gum. Of interest to coin collectors, the first US commemorative coins were sold here. The Columbian Exposition half dollar honoring the famous explorer was priced at $1.00. The the Queen Isabella quarter was also available at the fair. Following the armistice ending the Great War of 1914-1918, a mood developed across the United States to mark the end of that brutal, bloody conflict. In the wake of this sentiment, the Peace dollar series originated. Peace dollars were minted from 1921 to 1928, and again in 1934 and 1935. The 1928 dollar issued from the Philadelphia Mint is the rarest of all Peace dollars. Not many silver dollars were produced in 1928, because few were required to fulfill the mandate of the Pittman Act. After the year 2000, we saw huge jumps in the value of the 1928 Peace dollar, followed by years of declines, but still higher over the long term. That's because the 1928 is a genuinely rare coin desired by collectors. In light of the recent price drops, right now might be a good time to add a 1928 Peace Dollar to your collection, as a resumption of upward momentum at some point in the future is a virtual certainty. Prosperous business conditions and a rising standard of living for many typified life in 1928. The surging stock market was fueled by loans that made it easy to buy stocks with little cash down. Attracted by the lure of big profits, money from all segments of American society invested heavily in Wall Street. As the "Roaring Twenties" marched on, however, scant attention was given to economic indicators in 1928 warning of a forthcoming collapse in the economy. Chrysler and Dodge Motors announced a merger in May, 1928. It was one of the largest industry mergers in history. George Eastman pushed the limits of motion picture photography in July 1928 by demonstrating for the first time a color movie. The 1928 Olympic Games were held in Amsterdam, Netherlands. The US team scored 437 points, 60 more than runner-up Finland. An unnamed hurricane hammered the coast of Florida in September, killing an estimated 2000 people. It was one of the worst natural disasters ever to strike the United States. The first cartoon featuring sound, Steamboat Willie, was shown at Colony Theater in New York City in November, 1928. The star performer in the show was a mouse named Mickey, created by little-known cartoonist Walt Disney. 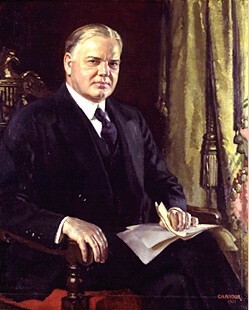 The final big political drama of the 1920's was the presidential election of 1928, which pitted Commerce Secretary Herbert Hoover (above) against New York governor Al Smith. Hoover won the Republican Party nomination after well-liked incumbent President Coolidge declined to run for re-election. Riding the wave of Coolidge's popularity, Hoover won in a landslide, 444 electoral votes to 87. 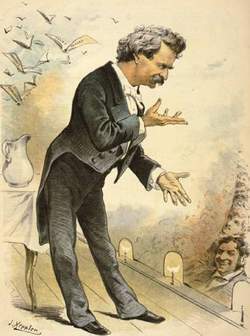 Historians say that Smith's Catholicism and heavy New York accent cost him many votes.